We DO NOT sell your information to any services. We DO NOT share your information with anyone other than what is necessary to complete your transaction with us (whether it’s signing up for our Newsletter or purchasing our product.) We take your privacy very seriously. In order to conduct transactions such as processing an order from you or sending you a Newsletter, we have to collect different types of information. This information is used for various purposes to provide and improve our Service. Personal Data: We use your Personal Data to contact you, if you sign up for our Newsletter or to assist in processing your order if you choose to order our product. If you receive our Newsletter, you may opt out of receiving any, or all, of these communications from us by following the unsubscribe link or instructions provided in any email we send. While using our Service, we may ask you to provide us with certain personally identifiable information that can be used to contact or identify you (“Personal Data”). Personally identifiable information may include, but is not limited to: Email address, Name, Address, State, Province, ZIP/Postal code, City, Cookies and Usage Data. Usage Data: We may also collect information how the Service is accessed and used (“Usage Data”). This Usage Data may include information such as your computer’s Internet Protocol address (e.g. IP address), browser type, browser version, the pages of our Website that you visit, the time and date of your visit, the time spent on those pages, unique device identifiers and other diagnostic data. We analyze this information to make changes to our site so we can always offer the best experience possible to our site visitors. Tracking & Cookies Data: As with most websites, cookies and similar tracking technologies to track the activity on our Service and hold certain information may be used. Cookies are files with small amount of data which may include an anonymous unique identifier. Cookies are sent to your browser from a website and stored on your device. Tracking technologies also used are beacons, tags, and scripts to collect and track information and to improve and analyze our Service. You can instruct your browser to refuse all cookies or to indicate when a cookie is being sent. However, if you do not accept cookies, you may not be able to use some portions of our Service. Examples of Cookies we use: session cookies (we use these cookies to operate our Service). The security of your data is important to us. We will always strive to only use commercially acceptable means to protect your Personal Data. Please remember that no method of transmission over the Internet, or method of electronic storage is 100% secure. While we strive to use commercially acceptable means to protect your Personal Data, there is no way we (or any service provider) can guarantee its absolute security. If you are a resident of the European Economic Area (EEA), you have certain data protection rights. Our Company aims to take reasonable steps to allow you to correct, amend, delete, or limit the use of your Personal Data. When you sign up for our Newsletter we use a trusted, secure 3rd party Email Newsletter service called “GetResponse”. Your email is stored on their server. When we send you a Newsletter, it will come from the GetResponse server. You will have an opportunity to cancel your free subscription at any time via a link (usually at the bottom) of every Newsletter email we send to you. 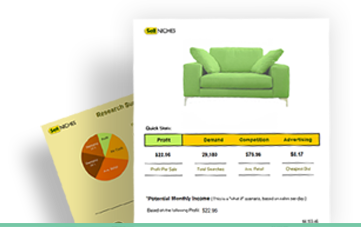 Your order will contain a PDF file (or files) containing The SELL NICHES BUNDLE (Simple Market Research™, Unique Niches™ Guide, Drill Down Charts, Product Niche Center, Spreadsheets and related materials) all of which are Copyrighted Materials of Idea Time, LLC. THERE ARE NO MONTHLY FEES AND NO HIDDEN FEES. BY ORDERING DIRECTLY FROM OUR ORDER CENTER VIA CREDIT CARD OR PAYPAL YOU AGREE TO PAY IDEA TIME LLC IN FULL AT THE TIME OF PURCHASE (VIA PAYPAL OR MAJOR CREDIT CARD).SELLER SHALL NOT BE LIABLE TO USER OR ANY OTHER PARTY FOR ANY DAMAGES, OR COSTS, OF ANY CHARACTER INCLUDING BUT NOT LIMITED TO DIRECT OR INDIRECT, CONSEQUENTIAL, SPECIAL, INCIDENTAL, OR OTHER COSTS OR DAMAGES, IN EXCESS OF THE PURCHASE PRICE OF THE PRODUCT OR SERVICES. THESE LIMITATIONS MAY BE AFFECTED BY THE LAWS OF PARTICULAR STATES AND JURISDICTIONS AND AS SUCH MAY BE APPLIED IN A DIFFERENT MANNER TO A PARTICULAR USER. Our Service, Website, Product, Spreadsheets, Newsletter and materials contain original content, features and functionality which are and will remain the exclusive property of Idea Time, LLC and its licensors. These are protected by copyright, trademark, and other laws of both the United States and foreign countries. Our trademarks and trade dress may not be used in connection with any product or service without the prior written consent of Idea Time, LLC. It is our Company Policy to aggressively pursue any copyright infringements. You may be held accountable for damages (including costs and attorneys’ fees) for any attempts to repurpose, distribute or sell our intellectual properties including content and graphics on this website, contents of our Product, Newsletter, Spreadsheets and related materials. Materials in this website are Copyrighted and all rights are reserved by Idea Time, LLC. Text, graphics, databases, HTML code, and other intellectual property are protected by US and International Copyright Laws, and may not be copied, reprinted, published, reengineered, translated, hosted, or otherwise distributed by any means without explicit permission. All of the trademarks on this site are trademarks of Idea Time LLC. PURCHASER MAY NOT DISTRIBUTE, SHARE OR SELL OUR EDUCATIONAL PRODUCT WITHOUT EXPLICIT PERMISSION. IT IS INTENDED FOR THE SOLE USE OF PURCHASER TO GROW HIS/HER OWN BUSINESS. Idea Time LLC grants you a non-exclusive, non-transferable license to use Sell Niches Bundle materials accessible to you subject to these Terms and Conditions. The materials may be used only for viewing information or for extracting information to the extent described below. IDEA TIME LLC AND ITS CONTRIBUTORS RESERVE ALL RIGHTS AND NO INTELLECTUAL PROPERTY RIGHTS ARE CONFERRED BY THIS AGREEMENT. You agree to use information obtained from Idea Time LLC materials only for your own private use or the internal purposes of your home or business, provided that is not the selling or broking of information, and in no event cause or permit to be published, printed, downloaded, transmitted, distributed, reengineered, or reproduced in any form any part of the databases (whether directly or in condensed, selective or tabulated form) whether for resale, republishing, redistribution, viewing, or otherwise. Nevertheless, you may print a personal copy of the Sell Niches Bundle materials to meet a specific, identifiable need for information which is for your personal use only, or is for use in your business only internally, on a confidential basis. You may make such limited number of duplicates of any output, both in machine-readable or hard copy form, as may be reasonable for those personal use purposes only. Nothing herein shall authorize you to create any database, directory or hard copy publication of or from the databases, whether for internal or external distribution or use. THE INFORMATION CONTAINED IN The Sell Niches Bundle (INCLUDING BUT NOT LIMITED TO ANY MANUALS, RECORDINGS, VIDEOS, AUDIO OR OTHER CONTENT IN ANY FORMAT) IS BASED ON SOURCES AND INFORMATION REASONABLY BELIEVED TO BE ACCURATE AT THE TIME IT WAS CREATED. HOWEVER THE MATERIAL DEALS WITH TOPICS THAT ARE SUBJECT TO CHANGES RELATED TO TECHNOLOGY AND THE MARKETPLACE. EVERY EFFORT HAS BEEN AND WILL BE MADE BY IDEA TIME, LLC TO KEEP THE INFORMATION CURRENT AND VALID. Under no circumstances, including, but not limited to, negligence, shall Idea Time LLC be liable for any special or consequential damages that result from the use of, or the inability to use, the materials in this site, even if Idea Time LLC or an Idea Time LLC authorized representative has been advised of the possibility of such damages. Applicable law may not allow the limitation or exclusion of liability or incidental or consequential damages, so the above limitation or exclusion may not apply to you. IN PARTICULAR, SELLER SHALL NOT BE LIABLE TO USER OR ANY OTHER PARTY FOR ANY DAMAGES, OR COSTS, OF ANY CHARACTER INCLUDING BUT NOT LIMITED TO DIRECT OR INDIRECT, CONSEQUENTIAL, SPECIAL, INCIDENTAL, OR OTHER COSTS OR DAMAGES, IN EXCESS OF THE PURCHASE PRICE OF THE PRODUCT OR SERVICES. THESE LIMITATIONS MAY BE AFFECTED BY THE LAWS OF PARTICULAR STATES AND JURISDICTIONS AND AS SUCH MAY BE APPLIED IN A DIFFERENT MANNER TO A PARTICULAR USER. The information contained on this website and pages within, is not intended to provide specific legal, financial or tax advice, or any other advice, whatsoever, for any individual or company and should not be relied upon in that regard. The services described on this website are only offered in jurisdictions where they may be legally offered. Information provided in our website is not all-inclusive and is limited to information that is made available to Idea Time LLC and such information should not be relied upon as all-inclusive. THE FOLLOWING RETURN POLICY IS ONLY VALID IF THE SELL NICHES BUNDLE IS PURCHASED DIRECTLY FROM OUR ORDER CENTER VIA CREDIT CARD OR PAYPAL. WE CANNOT ISSUE A REFUND IF THE PRODUCT WAS OBTAINED AS A FREE PROMOTION OR ANY OTHER MEANS. 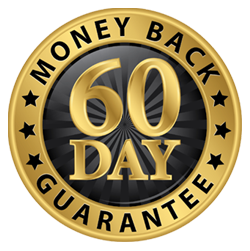 The Sell Niches Bundle does have a 60 day evaluation period during which time purchaser can request and receive a full refund if not satisfied. The following conditions apply. Because THE SELL NICHES BUNDLE is a digital download, you must remove any and all copies of any material related to Simple Market Research™, Unique Niches™ Guide, Spreadsheets, Product Niche Center and any related materials. No copies or back-ups of any of the materials can be made. Any printed material must be destroyed. Upon completion of the removal of the electronic and printed components of the SELL NICHES BUNDLE items, send us an email attesting to the removal. In that email, you must include your the full name, email address you ordered under, payment option used (PayPal or credit card) and the reason for your refund request. Refunds will be issued in 7-10 days from date of receipt of request and statement of removal. At our discretion, we may elect to refund your credit card, send a company check, or send refund monies via PayPal though we will make every effort to refund via the original payment option used. The terms of this guarantee conform with and are enforced by the Digital Millennium Copyright Act of 1998 and No Electronic Theft Act of 1997. The owners of this site are not necessarily affiliated with sites that may be linked to this site and, as such, are not to be held responsible for their content. The linked sites provided in the materials are for your convenience only and you access them at your own risk, though reasonable attempts have been made to ensure their validity. Links to other websites or references to products, services or publications other than those of Idea Time LLC and its subsidiaries and affiliates at this website, do not imply the endorsement or approval of such websites, products, services or publications by Idea Time LLC or its subsidiaries and affiliates. Certain names, graphics, logos, icons, designs, words, titles or phrases at this website may constitute trade names, trademarks or service marks of Idea Time LLC or of other entities. The display of trademarks on this website does not imply that a license of any kind has been granted. Any unauthorized downloading, re-transmission, or other copying of modification of trademarks and/or the contents herein may be a violation of federal common law trademark and/or copyright laws and could subject the copier to legal action. IDEA TIME LLC IS THE SOLE OWNER OF THE PROPERTY HEREIN. THE INFORMATION CONTAINED IN SIMPLE MARKET RESEARCH™, UNIQUE NICHES™, PRODUCT NICHE CENTER, SPREADSHEETS (INCLUDING BUT NOT LIMITED TO ANY MANUALS, RECORDINGS, VIDEO, AUDIO OR OTHER CONTENT IN ANY FORMAT) IS BASED ON SOURCES AND INFORMATION REASONABLY BELIEVED TO BE ACCURATE AT THE TIME IT WAS CREATED. HOWEVER THE MATERIAL DEALS WITH TOPICS THAT ARE SUBJECT TO CHANGES RELATED TO TECHNOLOGY AND THE MARKETPLACE. EVERY EFFORT HAS BEEN AND WILL BE MADE BY IDEA TIME, LLC TO KEEP THE INFORMATION CURRENT AND VALID. MONETARY AND INCOME RESULTS ARE BASED ON MANY FACTORS. WE HAVE NO WAY OF KNOWING HOW WELL YOU WILL DO, AS WE DO NOT KNOW YOUR BACKGROUND, YOUR WORK ETHIC OR YOUR BUSINESS SKILLS OR PRACTICES. THEREFORE WE DO NOT GUARANTEE OR IMPLY THAT YOU WILL MAKE ANY MONTY AT ALL. INTERNET BUSINESSES HAVE UNKNOWN RISKS INVOLVED AND ARE NOT SUITABLE FOR EVERYONE. MAKING DECISIONS BASED ON ANY INFORMATION PRESENTED IN OUR PRODUCTS, SERVICES OR WEBSITE SHOULD BE DONE WITH THE KNOWLEDGE THAT YOU COULD EXPERIENCE LOSSES OR MAKE NO MONEY AT ALL. YOU AGREE THAT OUR COMPANY IS NOT RESPONSIBLE FOR THE SUCCESS OR FAILURE OF YOUR BUSINESS DECISIONS RELATED TO ANY OF THE INFORMATION PRESENTED BY OUR COMPANY, OR OUR COMPANY PRODUCTS OR SERVICES.